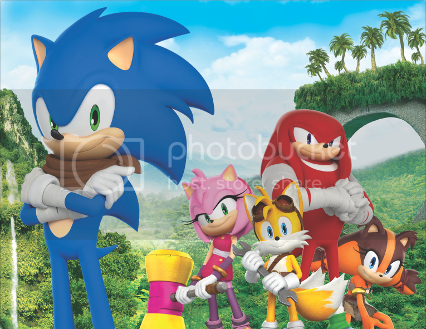 I was quite looking forward to Sonic Boom since its team is composed of people behind one of my favourite 3D platformers, Jak & Daxter. 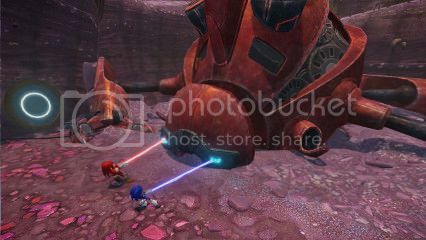 I figured that we might finally see the good Sonic game that’s been missing for varying lengths of time (depending on who you ask) thanks to a new team with new mechanics and a new take on Sonic. It certainly couldn’t be worse than the offerings of the last few years. It’s unfortunate, then, that my position that Sonic has never been good remains unbroken. I first played the 3DS version, which was by far the most inexcusably terrible of the pair. It’s a horribly generic 2D platformer, not using the characters’ differences enough in interesting ways, or indeed ways that you could guarantee would perform their intended function. Even when it does, the level design is so horrendously bad that I’d often go in a new direction, only to be put on a strict path that led me back in a circle. 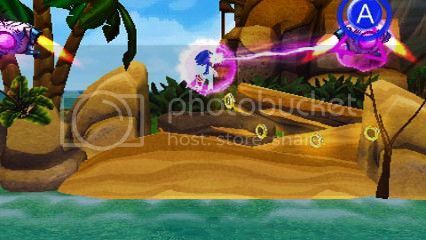 Solutions to the game’s various simple puzzles were also poorly communicated; I could barely see the tiny grey levers that Sticks was supposed to throw her boomerang at, and I’m pretty sure that wispy, weak wind wouldn’t have held Tails’ weight, spinning tails or no, in any other game. The Wii U version continued this terrible communication: I played a level in which Sonic and Knuckles had to move a minecart around with a glowing green circle, presumably indicating that I had to activate it with a prompt. Nope, I had to punch a mine cat to move it. Why? Why wouldn’t Sonic simply grab hold and push it? Why wouldn’t he use his whip thing to drag it? Is he too weak? No problem, beefy Knuckles is right next to him! Why on Earth would he punch it, potentially shattering fragile hedgehog bones on what is likely a very sturdy piece of metal!? The camera controls of the Wii U version were also a frustrating nightmare; it often just completely refused to move despite my need to look in a certain direction to track the various elements at play. I’m not sure why we’re still limiting camera movements when we have a second analogue stick, and it’s perhaps endemic of the game’s biggest problem: It feels dated. It’s a game that harkens back to the 3D platformers of the PS2 era without updating certain essential elements to today’s very necessary standard. 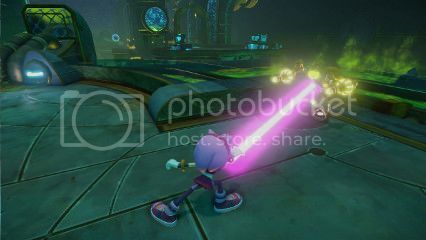 The combat is only marginally better, since Sonic was able to use his whip to lasso enemies around in order to destroy a large enemy’s legs; though this was only kind of amusing rather than gratifying in any way, especially when enemies would pop up on me and interfere my current swing. And if your combat is going to be so incredibly basic as to consist of mashing one button over and over, at least make it flashy! I’ve never been a huge fan of Sonic games but the occasional one does come across like a solar eclipse, where all the elements in the game line up like our planets and it ends up being really special. That game for me is Sonic Adventure 2: Battle on the Gamecube; it has however dated a fair bit since its re-release as a downloadable title. The Wii U version felt closer to this than any other recent Sonic game. That is something that I was both surprised by and glad to see. The 3DS version however mixes some of the same elements from the Wii U version with a more common 2D/2.5D/3D of the side scrolling Sonics. While I played both versions, there was one that I liked and am looking forward to and then there is the other one which I have very little hope for and really just wanted to stop playing. The 3DS version is the latter. It may just be my lack of enthusiasm for the old style of Sonics, or it might actually have been as clunky as i thought it was. You have to switch between characters to solve various puzzles as you navigate the course, but the puzzles and the new energy whip thing seemed to be a more arbitrary nuisance which slowed me down. As all four characters assume the same space you effectively morph into separate beings, while the Wii U version has them as separate entities. With this 3DS version in mind the switching just felt awkward as you would change specifically for puzzles and nothing else, as the basic attacks were practically the same. The Wii U version has their separate pathways to vary up the mostly linear levels and they all perform differently in combat, making their differences seem less arbitrary. The other difference is that the characters are ever so slightly different in both games. 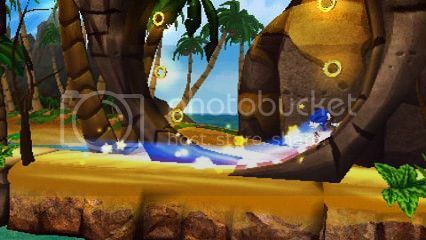 Amy Rose is switched out in the 3DS version for the new character Sticks, who throws a boomerang. The Wii U version really, really surprised me. I was expecting complete dreck and it shot those expectations down. Possibly because of the lack of 3D platformers readily available these days, I enjoyed it more than I should, possibly evident by my half-enjoyment of Invizimals. I unfortunately disagree with Adam. 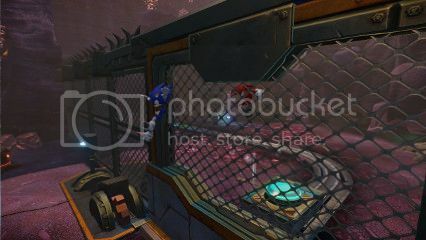 The mine cart having a button to hit that turns it on makes more sense than using the whip, as you can’t drag something up against a wall from the front, as Sonic or Knuckles would be in between the wall and the mine cart, leaving unwanted space between the two points. Getting back on track… the game offered a few things that were quite nice. The co-op-y side of things let me switch between characters and enjoy a few different routes for the team. The “oh I’ll just appear next to you” mechanic for someone going down a different path is always nice, although emotionally annoying. I was told that there are co-op challenges for up to four players, but the main game sticks to two players max. Adam’s right that some of the camera controls weren’t great, but it was more than serviceable for what the combat required. The combat itself was not awful; a little basic with a high priority on dodging – you could compare it to the Devil May Cry reboot. HA, HA! I jest, DMC had a fair amount of depth really; I liked it. Sonic and gang though, had pretty standard one-button combos and your special abilities help somewhat to mix things up a little. The whip added a little excitement, but most of the enemies just seemed to have too much health for it to be fun to fight them. I’d rather they be weaker considering the amount thrown at you but chances are complexity will be added, as this was sort of hinted at when one level brought in shielded enemies that you could disarm with the whip. Health is linked less to rings than prior Sonic games, instead letting you get hit losing only a portion of rings each time. 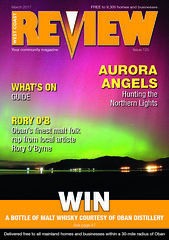 It’s sort of linked to a health bar too – but not in a way that is either easy to describe or particularly interesting. Moving on… there wasn’t a huge amount of depth to the special abilities but perhaps the fraction of what I played didn’t demonstrate this adequately. 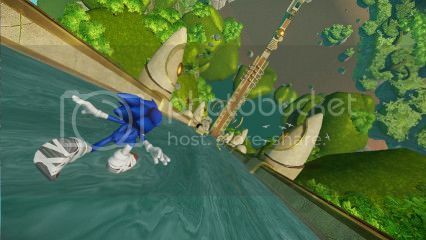 Sonic can speed through things with his whirly nonsense. 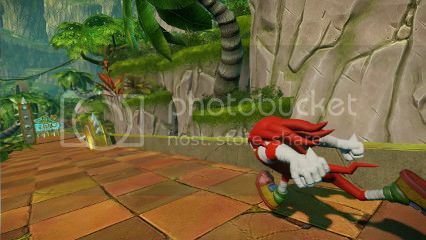 Knuckles can dig… like an Echidna does, probably? And Tails and Amy I am hazy on, as the only level where they were playable in any sort of arena was with a Dr Robotnik Eggman boss, where your special abilities weren’t really at play. I think Amy spun with her hammer for a bit as her special move… that sounds about right. While the levels seem mostly linear with a little exploration for hidden items and branching paths, there are even more linear levels. These come in the form of those fast-paced levels where you just run forwards constantly while hitting, dodging, and collecting things while watching your character’s derriere. It seemed alright.